Are you not doing you walk through anymore? Have been looking for the fashion hunter hobby one. Really miss you posts, I live by them lol. Yes I am but I was about to build the area at the mall and I saw a pop up for the outdoors timed event and I really don’t want to be doing two at once so I will start the fashion hunter one as soon as I have finished the outdoors one- sorry! This is very comprehensive! Thank you! Do u have anyfr the new update? This post really helped. Thanks! Does it matter whether your sim is inspired/maxed out when they enter a competition at the competition center? Does an inspired sim have a better chance of winning first place? Hi! Firstly, let me be the trillionth person to thank you so much for your amazing work, effort, and kindness! I’m so happy I stumbled upon your incredible site! I believe you have answered my question about hobbies above, but I wanted to elaborate on it: in a hobby, let’s say cooking, if one were in the middle of the levels, like level 4 – I understood from your faq that it doesn’t matter which cooking option we choose to gain the collectibles; as per your brilliant suggestion for money and LPs, we can just keep cooking that cheese and toast! I’m finding, however, I seem to keep getting the low-level items (such as the grater) when I cook the toast, and the mid level items (such as knives) when I cook the quiche – is this purely coincidental? 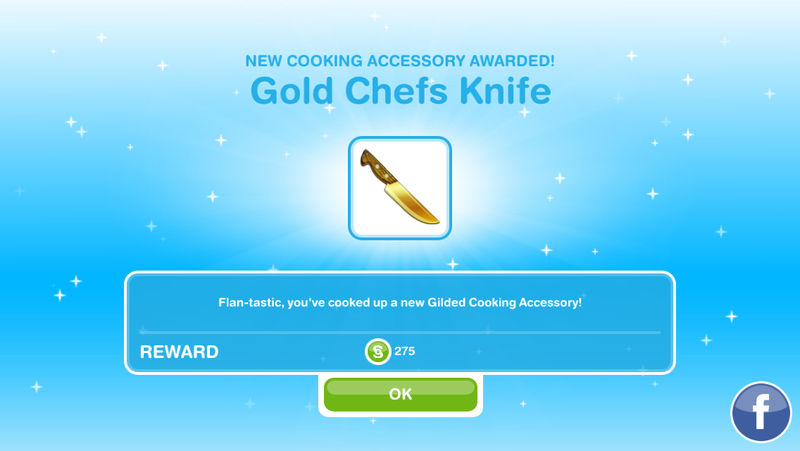 My question boils down to, do I need to cook the more time consuming foods to get the higher level collectibles, or just keep cooking millions of cheesy toasts and eventually I’ll get them all? Yes that is just a coincidence because sometimes you can have a sim who is level 1 and they get mostly high items so cooking cheese on toast will get you them eventually, sometimes it can just take a long time while other times you can complete in about 10 minutes so keep at it! Hi..! thanks for your sharing, it help me a lot. I wanna ask you something and I hope U could help me. I regreted for doing some actions on previous level. I added a male infant and I got him on the floor, crawling! Wow! I was suprised, usually I got a new infant on the crib. and then I moved him to the crib by an adult. and when I want to move him back on the floor, I couldnt! I regreted to move him to the crib 😦 I like watching him crawling and playing on the floor. how should I do to get him crawling on the floor again? btw, I’m on level 43 and I dont reach the ‘nanny things’ level yet. thank you. Haha… Thanks for your answer. Yes, this morning I’ve reached level “Nanny Knows best’ quest, and I’ve been doing ‘Relax with an infant’ task since 3 hours ago. The timed hobbies don’t appear on my game I’ve tried everything but to no avail. On the game it appears that it’s there but I can’t access it, the task tab shows that there are 4 quests, but when I open it it only shows me 3. What can I do to solve this? THANK YOU! I have been trying in vain for so long to do ringlets of fire and the pajama one. I thought I was alone! Thank you for all your work on this blog, it’s very, very impressive. 🙂 Once you have maxed out one Sim and unlocked all of a hobby, is there any advantage to keeping at least one Sim maxed out in that hobby? I’m running out of Sims to keep one on each unlocked hobby, which is hindering me during timed hobby events. No there isn’t, I usually just have my sims complete the hobby until I have earned all the rewards, so I did the puppy pals hobby until I unlocked all the rugs. 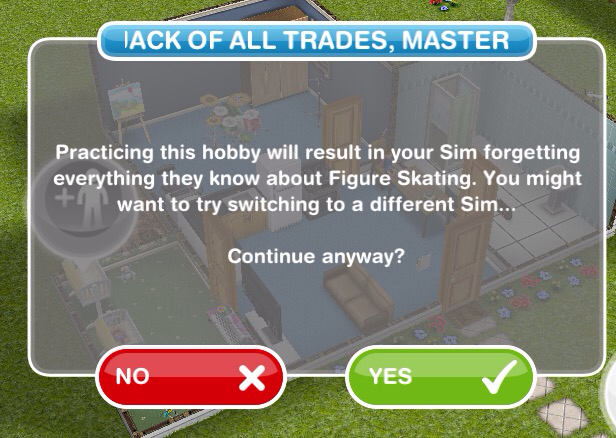 But you can just complete each hobby once then move onto another hobby because once they are at the highest level in that hobby any sim who starts from level 1 will be able to find all the collectibles for when you need to complete a timed hobby event. Thank you! This is a great web site, and it’s astonishing how much work you’ve put into it. We all owe you a great debt of gratitude. Game on! Gamer Grrls FTW! Hi, again, Magic, just one more question. I am (finally!) building the Competition Center. Something just occurred to me….wouldn’t there be an advantage to having one Sim maxed out on each hobby at the Competition Center? Or are the competitions just not worth doing? I know there’s probably not much I can do about this but i have quite a few hobbies in which i’m max level and have been max level for quite some time now and I STILL am only getting the beginner rewards to complete the hobbies. no matter how many times i do them I get the same beginner ones over and over and its quite frustrating. I’m guessing there probably is not, but is there anything I can do to increase the chances of getting what I need and is there anyone else having the same problem? Unfortunately there isn’t anything you can do, you are just going to have to keep going, you will get them eventually. Sorry about that! I’m having the same problem with the fashion hobby, I have the sim doing it all day everyday and I cannot get the last piece. Same with finger painting, I want to grow the dang kid up already but I want to get the last piece and it’s just not happening. So frustrating! Same was happening with fishing and I finally just caved and used LP to get the last fish…and with the swimming. I had them doing it for weeks. I have been doing the figure skating now for almost a month, and have used several hundred LP’s and I still don’t have the last metal…should it take this long??? Hi there! You have mentioned “speeding up” the hobby, how exactly does this happen? Sorry if I missed this part. Thanks this was really helpful! But I still have one question, are my sims allowed to do a different hobby after they have reached the maximum level of a hobby? Im very confused. I’m trying to get the long hair styles? But, i don’t really know how! Is there a quest for it? You will have to wait for them to bring back the time limited event that you complete to unlock the long hair. i know you must be busy trying to help everyone with their issues on this game & also dealing with your own life… but i just need to ask, is there any way you may know why the ballet icon is faded & why i cant make a sim do ballet anymore? & also… why isnt there anything posted on your website about this issue stating that it may be basically not available or anything?? ‘Why don’t Karate and Ballet show on the hobby tab? You can still complete ballet using a preteen at the community center but once you have completed it for the first time you will not get any rewards like a normal hobby. Hi again. I’m about to unlock the pet park and am trying to plan my strategy. I figure if the animal fanatics take so long to earn orbs then they might just as well be doing a hobby to collect them so I want to start with dog obedience. I have 4 sims assigned to the animal fanatic personality (I keep recreating them) and only two of them own 3 star dogs (I do have other 3 star dogs owned by other sims though). My question is – when I send a 3 star dog (with a collar) to the park does it’s OWNER have to go with it or can I just send a 3 star dog and then send one of the animal fanatic sims (not it’s owner) with it? I want to know if I have to move dogs or personalities around? Also, do you know if this hobby is still experiencing the same problems it had when you did it – the frisbe dog throwing did? Tks in advance for your answer. You can send any sim you want to complete this hobby, the dog doesn’t have to belong to the person completing the hobby. I’m not sure about the frisbee issue as I stopped working towards animal orbs once I finished building all the places at the pet park, I’ve not heard of anyone having this issue recently though so hopefully it’s all sorted now! if I choose the shortest time offered for a hobby, does it affect the type of collectible I get ( I.E.- choosing the 10min fishing as opposed to the 1 hr)? No, shorter times take longer to level up but they are useful if you are at the highest level as you can just do the shortest option over and over to finish the collection. How do you get jack of all trades? Per the newest update, there are 4 mats at the gym (5 if you include the usable one) .. but they provide no interactions. Are the just for appearance or do they become available after the event? I just started the musical expression hobby—in fact I just completed nanny knows best because of a coming soon hobby event said that I needed to. If I don’t find all the baby clothes before the baby onesies event starts, can I continue where I left off after the baby onesies event starts? Once the event is over you will be able to find the baby clothes. I have one question, is the Lucky Hat just decorative or does it make the sim wearing it have an advantage? Oh that’s a very good question! I never thought of that! It appears to be just a decorative item. 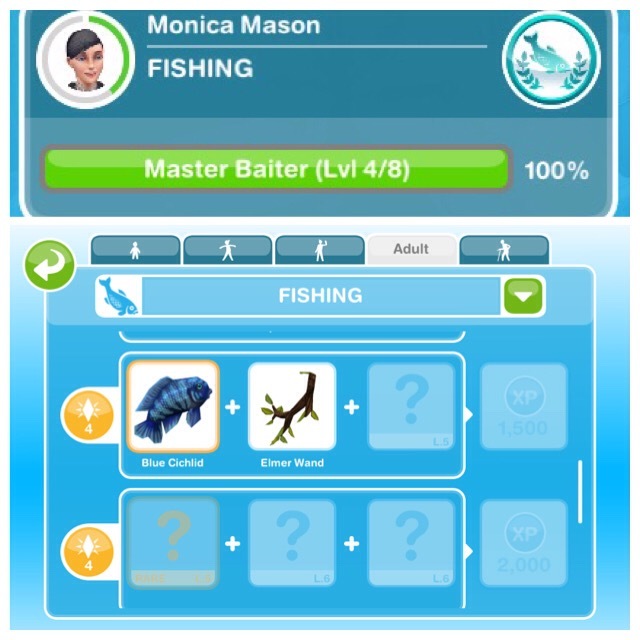 You won’t still be on level 6 but you will have unlocked all the collectibles so a new sim can be at level 1 and find all the collectibles but if your sim doesn’t reach level 6 before they die or change hobbies then a new sim will need to reach level 6 first. It doesn’t say anywhere that only female Sims can take part in the makeup artist hobby but it won’t let my male Sims do it as a hobby. Has anyone else had this problem? Seems extremely sexist. How to get the chopping board in sims freeplay?? Hi, i have a question for the new feature on Limited Events, I read your post that LPs unlocks the whole row once the items are unlocked. How do I know it’s not a random thing? Does it really unlock the whole row? It’s my first time seeing this and I’m nervous to spend LPs on. I am ok to speed up once the timer is down to 1 hr and the number of LPs go down to one. I can use the spare LPs I have and get my sims on the cooking hobby for two hours to get 10LPs. Unfortunately that feature was only available for a few time limited hobby events, they removed it so it isn’t available for the rerun of the teen life event. Will the indoor skydiving and sim town cinema still be available for me to purchase even though I didn’t finish the fashion hunter hobby? I have a good question; could you tell us which hobbies are worth completing. I have 1 sim each on the Puppy Pals and Internet Kitten Hobbies…..i was wondering if either one is really worth the time i have to finish them, moreless the time i have already put into them. The internet kitten hobby doesn’t have a time limit so you can take your time on that one. Puppy pals does have a time limit but you only have to complete in time if you want the poodles, if you don’t then you don’t have to worry about completing it in time. What about the Jack of all trades, Master of none quest? How frustrating! Unfortunately there are no tips to help you find these faster, the heels are always the hardest ones to find so all you can really do is keep doing the 10 minute option over and over. If you still can’t find them after trying for a long time then it may be a glitch so you may want to contact EA and let them know about this issue if it keeps happening.